It’s imperative to stay one step ahead of the trends in this punting game. To turn a profit you need be off round the bend before the rest of the pack have seen which way you went. Whether that be latching on to a progressive horse making it’s way through the ranks, a flourishing young trainer on an upward curve, a newly formed trainer/jockey combo who are banging in the winners or, in this case, a young apprentice jockey who’s quietly going about his business away from the eyes of the punting majority (according to the stats that is). The young jockey in question here? When you consider some of the main players in the jockey ranks those stats may seem less impressive, but at this stage of his career it would be seriously unfair to consider him against the likes of Moore, SDS and Crowley, he’s still learning his trade at this juncture but from what my eyes have seen so far (and, again, what the stats are telling me) he learning that trade pretty damn quickly. One of the main reasons he has sprung to my attention is because he’s pretty damn decent from the front. And I LOVE a jockey who can get the job done at a regular rate off the front end. Those are solid stats off the front end for one so inexperienced AND he’s had some bloody tricky front-runners to handle as well! Just yesterday at Catterick he only failed by 0.5L to get the Scott Dixon trained CROSSE FIRE home in front after giving him a cracking gun and go number on the sharp end. Crosse Fire has only won 1 of his last 32 starts, he’s not the easiest of horses to get into the winners enclosure. He’s also been picking up the ride on Scott Dixon’s PEARL NOIR of late, an equally head-strong front-runner who doesn’t visit the winners enclosure quite as often as he used to/should do. Ladd got him home in front at Thirsk on his first ever (public) sit on the horse (12th May). He’s come close a couple of time since then as well, including a third of 14 over the Beverley 5f from stall 11, no mean feat at all. This could be down to a number of reasons, like the horses he rides may have been better suited to Left-Handed tracks than Right-Handed tracks, for example. It could also be that the right-handed tracks maybe take more getting used to than the left-handed tracks, I wouldn’t personally know as I’ve never ridden them but it’s a possibility. I’d be surprised should this continue throughout his career, it ‘should’ level itself out, but there are more Left-Handed tracks in this country than Right-Handed tracks (quite a bit more) AND the three trainers he rides the most for (Hughie Morrison, Mick Appleby & Scott Dixon) ALL have better strike-rates on Left-Handed tracks than Right-Handed tracks. Hmmm… might be something in it, might not be, I wouldn’t hang my hat on it just yet, but I have long-held theories on the LH-RH differences (not one’s I could easily back-up, hence why they remain theories) but at the very least it’s interesting to note and keep an eye on (for the record I expect the figures to straighten out over time in this case). I guess it may take a bit of time to understand the best way to handle those horses that are coming off breaks or it could well be that his more ‘forceful’ riding style (forceful as in he likes to have his mounts up there in the van) plays more to the strengths of those horses that are holding a bit of race-sharpness/fitness in them from a recent spin. Whatever the reason may be the splits current indicate he’s better on those that are ‘fitter’ and sharper after a recent run than those coming back off a break of more than 4 weeks (it could also be the trainer’s he’s riding for and their modus-operandi that has an effect here as well). Again, it’s all very early days for the jockey but at the minute that’s where he’s been the most potent. 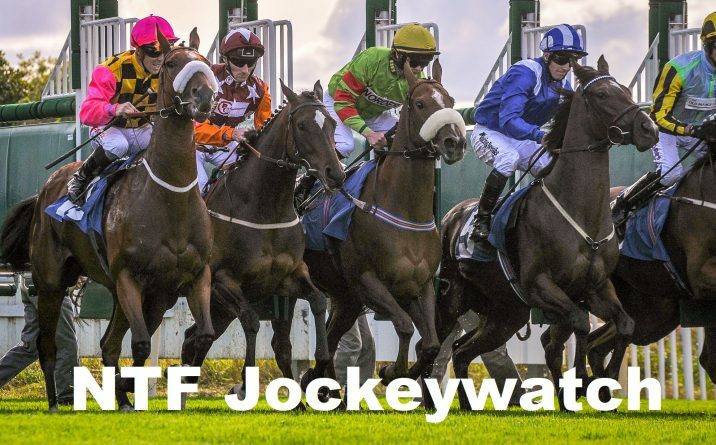 As I said right at the start, it’s all about staying ahead of the game and jumping on these things early, before the wider betting public latches on, from a punting perspective it’s vital to find those opportunities, Theodore Ladd, according to the stats, is currently providing that opportunity. Thank you Steve, much appreciated. Check distance beaten in previous race too Ben, he’s 0/12 by my numbers on horses beaten 30l+/tailed off lto. Interesting observation, he is indeed 0/12, 0p on horse that fit that criteria. Also only 2/43 on those beaten 10+ lengths LTO.